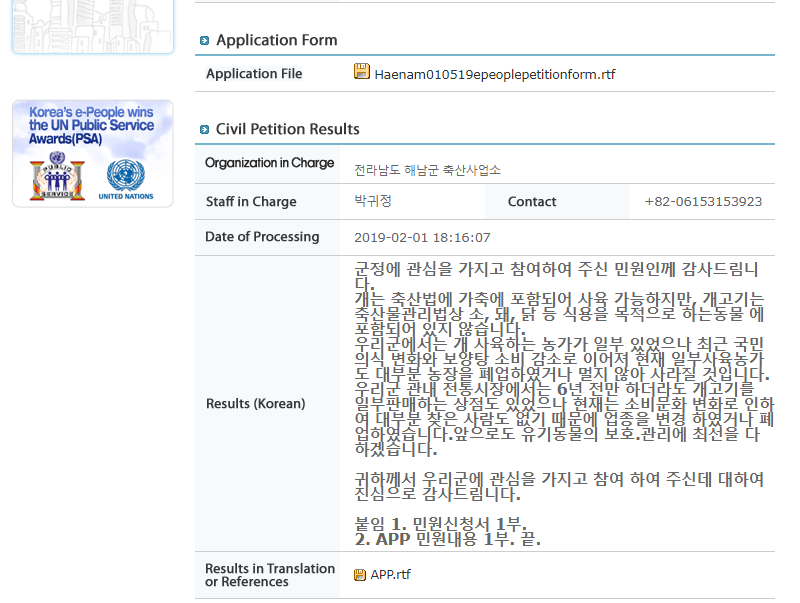 Below is Haenam’s response to our petition: Haenam, South Korea, Shut down the illegal dog meat farms, slaughterhouses and markets. I would like to thank you for your interest and participation in our county’s affairs. Dogs are currently classified as “livestock” under the Livestock Industry Act and therefore, it is legally permissible to breed them. But in the Livestock Products Sanitary Control Act, dogs are not classified as a livestock animal intended for human consumption, such as cattle, chickens, etc. There are some dog farms that breed and raise dogs in our county. However, recently, there has been a change in people’s consciousness along with the decrease in consumption of dog meat soup so currently, dog farmers have either closed down their farms or will close down in the near future. 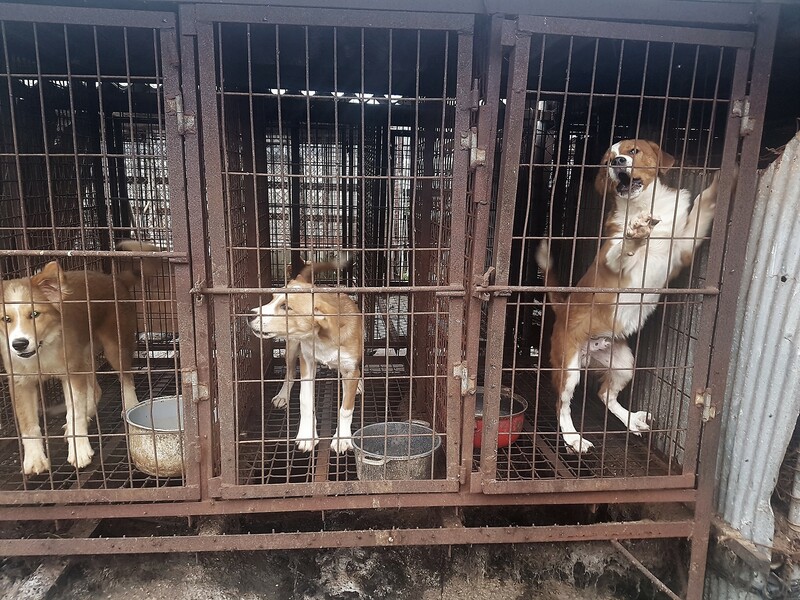 In the traditional open air markets in our county, there were stores selling dog meat as recently as six years ago, but now, due to the change in consumption culture, there hasn’t been much demand for dog meat, they have either changed their businesses or closed down their shops. We will do our best to protect and manage abandoned animals in the future. We sincerely thank you for your interest and participation in our county. Most of humanity did not come out of the Middle Ages and consists of retarded souls that are blacker that night. The one who mocks animals are people only by sight. Inside are Demons. Because of those sadists and murders of animals our Planet become a Real HELL. I’m a woman, but I sit in the same cages as the poor animals, burned alive with fire and cut into small pieces by the same knife together with mutilated animals. Korean Demons! THANKS FOR MY PERSONALITY SPIRITUAL HALL, which the good people have because of your Monstrous Acts!